Back in Jan-March 2014 there was the Gathering of Souls Art Contest about Diablo 3 by Blizzard and hundreds of artists participated. 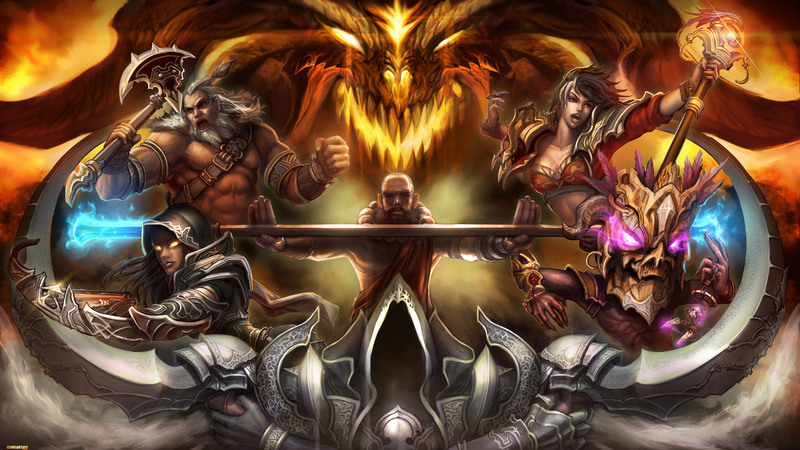 So did Asher Warr Kidd who was featured here multiple times with his League of Legends redesigns, he created this damn nice piece with Diablo, Tyrael and the Diablo III character classes. Liked it a lot and find it a shame it was not among the winning pieces.